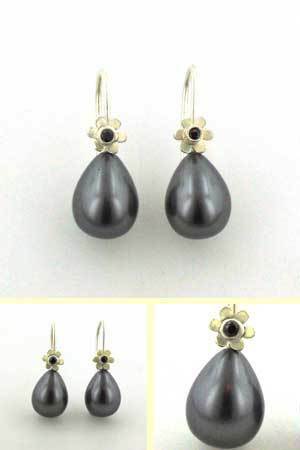 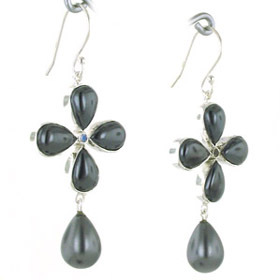 Black pearl drop earrings set in sterling silver. 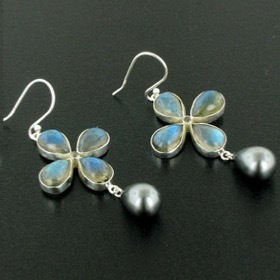 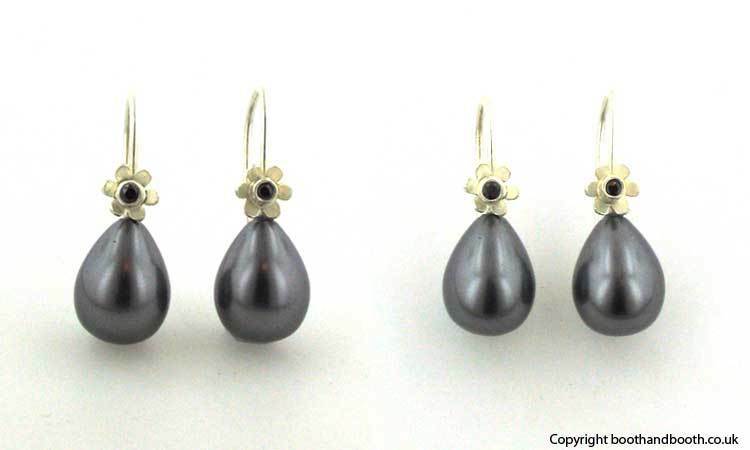 This beautiful lab made pearl droplet has a charming flower decoration the centre of which is a sparkling black cubic zircon. 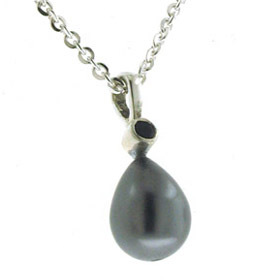 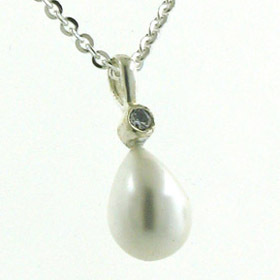 Gorgeously classic on their own but also a perfect accompaniment to our black pearl droplet pendant, Grace.